A view from Port Charlotte on a beautiful sunny summer morning. 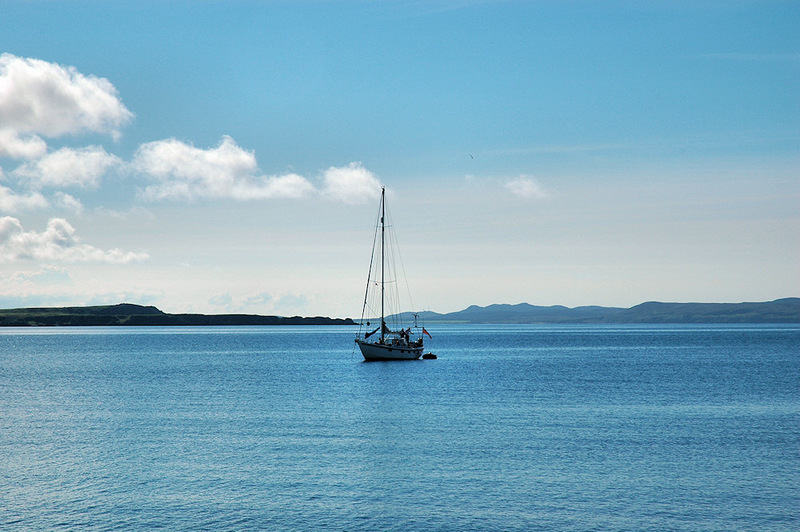 A visiting sailing yacht anchored on Loch Indaal, Laggan Point in the background. This entry was posted in Landscape, Repost, Sea Loch, Sunny Weather and tagged Islay, Laggan Point, Loch Indaal, Port Charlotte, sailing yacht by Armin Grewe. Bookmark the permalink.